The 14” model gets 1600×900 but the 15” model has a full HD screen. Engadget is reporting that Vizio has “doubled the battery capacity.” That claim sounds somewhat extreme. As for the processing, Vizio have opted for AMD A10 quad-core Trinity or Core i7 so we’re talking about high-end models only. 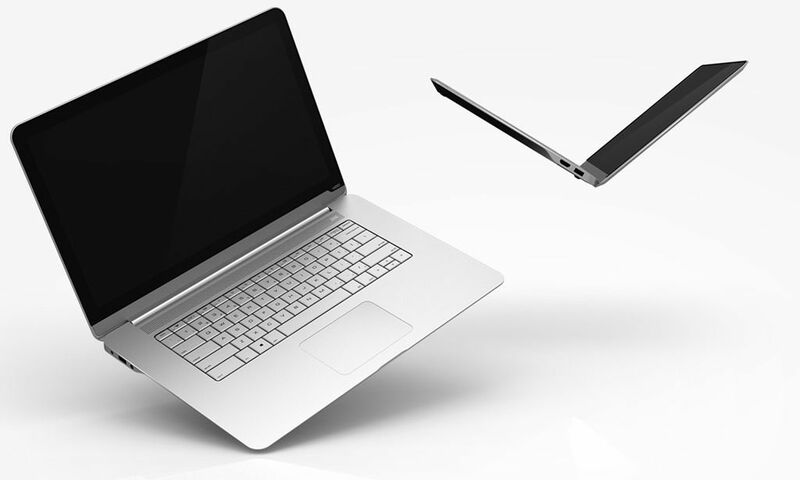 The spring 2013 PC line-up is highlighted by the 15.6” (CT15T-B0, CT15T-B1) and 14” (CT14T-B0, CT14T-B1) versions of the Thin + Light Touch, which are on display at CES. These new models are exceptional choices for consumers looking for optimal performance in an exquisitely designed, premium PC. Showcasing an ultra-thin profile, multi-gesture touchscreen, AMD A10 APU or Intel® Core™ i7, and improved battery life rating along with a large Full HD screen for the 15.6” and HD+ for the 14”, the Thin + Light Touch performs like a desktop, but provides the convenience of mobility with an ultra-thin chasis that lets consumers take that performance with them. Vizio seems to be well-connected with AMD now. They’ announced a Z-60-based tablet and were seen on stage for quite a while at the AMD press conference. Let’s hope they’re working together to refine devices based on the new AMD platforms coming later this year.